Ah, the holidays are upon us again. And this week we have one that is uniquely ours. Being grateful is such a huge asset to one’s life, and to think we have an entire celebration in its honor. It’s interesting to note how it came about, especially the timing of the federal holiday. We all know the story of the first Thanksgiving, with the Pilgrims and the Wampanoag. Originally celebrated as a harvest festival (thank God we have food! ), the first one lasted 3 days. Makes my stomach hurt to think about it. 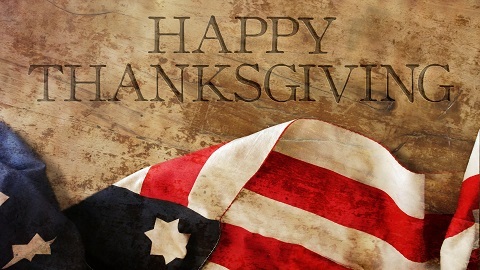 Not until 1863 however, during the Civil War, did it become a national day of Thanksgiving, via Lincoln’s proclamation. Isn’t it ironic that during the very worst of our nation’s history, the president proclaimed a day reserved solely for giving thanks? I mean, if at any time Americans could be forgiven for wallowing in their misery, 1863 would sure qualify. In the very midst of the carnage. In the very time when it looked as though our nation would be wrought apart. When Lord knows if anybody had reason to dissolve into a puddle or just shoot someone, Lincoln did. When being grateful was surely a hard-fought emotion to find . . . In the midst of all that, this country chose to focus on gratitude. To proclaim an entire day in its honor. BUT WHO FOUGHT TO MAKE IT HAPPEN? Interestingly, the biggest champion of the idea of this national day of giving thanks was a prominent writer and editor of the day, Sarah Josepha Hale. She wrote the children’s poem, “Mary Had a Little Lamb,” and helped found the American Ladies Magazine, which she used as a platform to promote women’s issues. She lobbied state and federal officials to pass legislation to create a fixed, national day of thanks. In 1861 and 1862, Confederate President Jefferson Davis issued Thanksgiving Day proclamations following Southern victories. President Lincoln did as well, in April 1862 and again in the summer of 1863 after the Battle of Gettysburg. But even after the Battle of Gettysburg in July of 1863, victory for the Union looked iffy. Not due to what was happening on the field of battle, but rather because the North itself was losing its stomach for the War. For a host of complex reasons, growing numbers of citizens and soldiers alike wanted peace. Not until after the Gettysburg Address (delivered months after the Battle, in November of 1863, at the dedication of the Soldiers’ National Cemetery in Gettysburg) did the people of the North become galvanized to continue on. In large part due to the Gettysburg Address, the North found again its reason to fight. Lincoln’s inclusion to speak at the dedication of the Soldier’s National Cemetery in November, 1863, was actually an afterthought. I shudder to think had he not given that address . . .
And I cannot imagine what Lincoln must have been feeling in the Fall of 1863. In September of 1863 (after the Battle, before the Address), Hale wrote to both the president and Secretary of State William Seward, again urging them to declare a national Thanksgiving Day. And, to make it permanent. As divisive a time as we’ve gone through, and as many people who are still grieving now, it pales entirely by the standards of 1863. And the proclamation’s words and sentiments ring eerily familiar today . . .
“The year that is drawing towards its close, has been filled with the blessings of fruitful fields and healthful skies. To these bounties, which are so constantly enjoyed that we are prone to forget the source from which they come, others have been added, which are of so extraordinary a nature, that they cannot fail to penetrate and soften even the heart which is habitually insensible to the ever watchful providence of Almighty God. In the midst of a civil war of unequalled magnitude and severity, which has sometimes seemed to foreign States to invite and to provoke their aggression, peace has been preserved with all nations, order has been maintained, the laws have been respected and obeyed, and harmony has prevailed everywhere except in the theatre of military conflict; while that theatre has been greatly contracted by the advancing armies and navies of the Union . . .
Wishing you and yours a wonderful season of giving thanks. Thanks, Colleen! Happy Thanksgiving to you and yours! very good points to remember this week. Truly grateful to live in such a wonderful country. Even with its issues. It is, Neely, it is! What a great reminder that in uncertain times (such as now) we would do best to focus on giving thanks to God. The Bible certainly teaches that when we focus on the giving of thanks, we take our mind off ourselves, which brings peace. So true, Carol. We simply cannot be in gratitude and any negative emotion at the same time. Interesting to read about the history of Thanksgiving Day. I didn’t know about Sarah Josepha Hale’s involvement in this. I wish we had something similar in Australia – a dedicated day to give thanks for all the many things we tend to take for granted. It’s a wonderful thought that, no matter how tough times may be, an entire nation is focusing on and being grateful for the good things in life. Great post. Have a happyThanksgiving. Thanks so much for sharing this history and background with us, Susan. I’ve been drawn to Abraham Lincoln for a very long time and love hearing a bit more about how Thanksgiving came to be and how he was a part of it. Here in Canada we celebrate Thanksgiving in October and we rarely get a glimpse into Thanksgiving in the U.S. other than that Black Friday seems to have become popular here too. Enjoy your holiday celebrations and thanks for the reminder that regardless of what we are facing now, somehow things always do work out…. hopefully for the better. Lincoln was a genius, with a backbone of steel. I’m always humbled by him, Beverley. And hold that thought of things working out! Very interesting read! Things they don’t really teach us growing up. I had no idea about all the details in the history of Thanksgiving! I know, isn’t it odd all the things they never taught us! I must confess… I think more about getting the whole family together and scarfing down the FEAST as opposed to the history behind thanksgiving! A great article about all the history of Thanksgiving. I really enjoyed this and though about being thankful and having gratitude for what I have in my life.Thank You for being part of a great group. Isn’t gratitude just wonderful, Lori! I’m grateful for getting to know you this year! Understanding the celebration and the historical data is very important to learn more to appreciate it and give thanks for what we have achieved now. Happy Thanksgiving. Happy Thanksgiving to you too, Adriana! Thanks for sharing all of this! I love learning something new and I didn’t know some of this! I wish you a very Happy Thanksgiving! I’m looking forward to reflecting on how great my family has been this year. I’m also looking forward to enjoying some some delicious food tomorrow. Thanks for the background on the holiday. Good for you, Saidah! Happy Thanksgiving! Happy Thanksgiving to you and your family. Thanks for the back ground on this. In the UK we don’t celebrate thanksgiving, i’d love to experience it one day. Come visit us, Sonya, and enjoy our wonderful Thanksgiving! This is some very interesting background and point of view on Thanksgiving. I would rather focus on the positive and enjoy this special time with my family and loved ones. 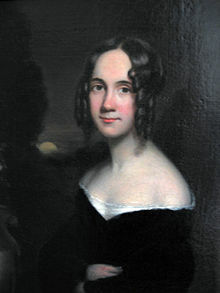 What an amazing woman Sarah Hale – I only heard of her for the first time yesterday. Thank you for sharing more of her story. What a Great & reflective post!!!! We in America really do have so much to be thankful for!!!! We do, CourtneyLynne, we do! What a great post! I am thankful that we can share our History. I am grateful for sharing our history as well, Robin. What a wonderful post and share! I had not realized that Thanksgiving was initially started by a woman, which gave a better platform for her to help other women! Yeah for women!! I had never read Lincoln’s address he gave on the importance of having a day of thanks and what it means to be thankful for all we have 🙂 His words still ring true today….AMEN! Thanks, Joan! The history truly is amazing, no? The things we DON’T learn in school! And it’s history we for whatever reason weren’t taught in school. Isn’t history just wonderful, Angie! So true Susan… if all those folks could find a way to come together and be thankful, then all those who feel betrayed, lost and hate slingers can do the same. I am thankful that I am looking forward to some good change for 4 years. I’d like to keep some of the hard earned money I worked so hard for. There’s nothing like gratitude to change one’s mindset, no, Kristen? It’s just so ironic to me that in the true depths of despair, Lincoln and this country celebrated a day of thanksgiving. And Lincoln consecrated it as permanent. Just amazes me, actually . . . Being a historian at heart, still, I very much liked your article here. Very interesting to learn to story behind the celebration of Thanksgiving Day. History is such an eye-opening discipline, isn’t it, Katarina. I love that your a historian at heart! It is always remarkable to be reminded of the journey that led to this special day. Nowadays, people gather to eat and hang out but, the story behind it all was borne by sweat, tears and determination. Happy Thanksgiving! It truly was, wasn’t it, Elizabeth! Happy Thanksgiving to you and yours! Susan, this is such an interesting history lesson! It is, isn’t it, Mindy! I’m a little late getting to your wonderful Thanksgiving post. It helps to look back and see how both the North and South responded to their own thanksgiving. I have to smile at the power of women like Sarah Josepha Hale to move Lincoln and Seward to heal a nation with a giving of thanks..